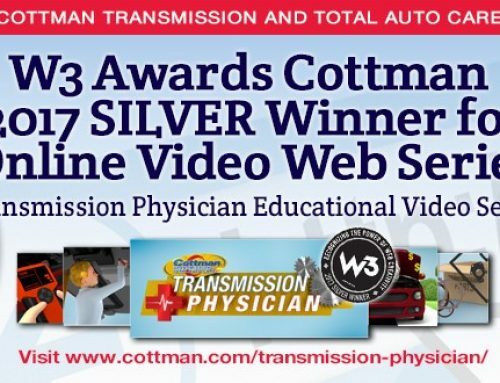 HORSHAM, PA. – Cottman Transmission and Total Auto Care puts the pedal to the metal on the aftermarket auto care industry’s information superhighway by bringing home two more awards for its digital efforts. 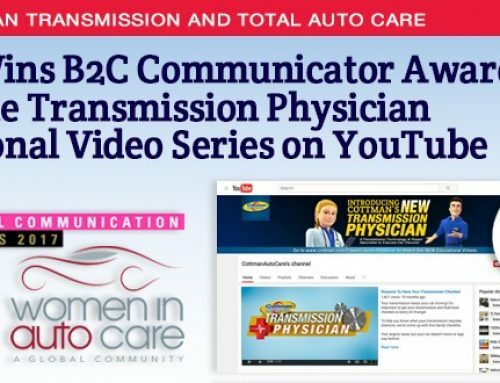 The W3 Awards, sanctioned and judged by the Academy of Interactive and Visual Arts (AIVA), honors creative excellence on the web, and recognizes the creative and marketing professionals behind award winning websites, web video and online marketing programs. The W3 is the first major web competition to be accessible to the biggest agencies, the smallest firms and everyone in between. 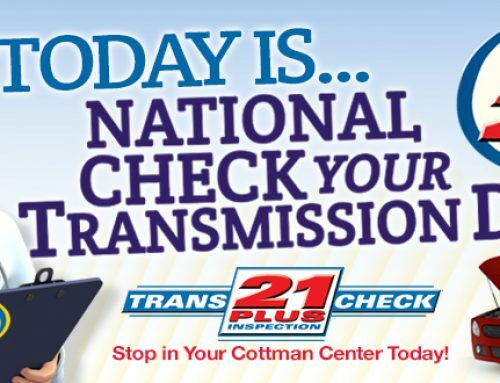 Featuring the brand’s signature Cottman Man, the videos offer user-friendly tips on topics relating to car care, such how to address annual car service needs, routine maintenance, road trip precautions and many more relevant consumer preventative and proactive car care tips. 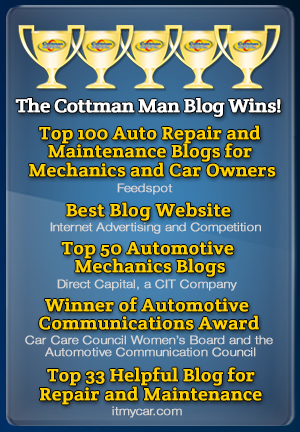 By using simple explanations in the engaging, animated videos, which are 55 seconds or less, the Cottman Man provides crucial car care tips to viewers. 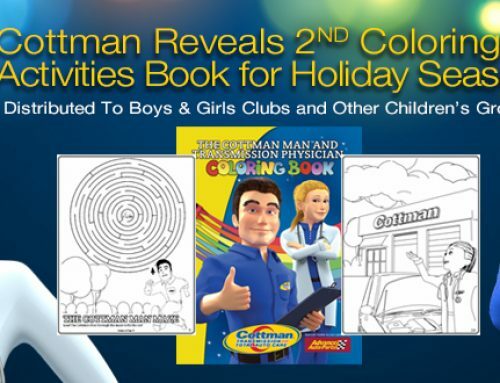 Underscoring the usefulness of the series are colorful visuals and easy-to-follow guidelines that ensure viewers are more confident about their motor vehicles and the care it requires. 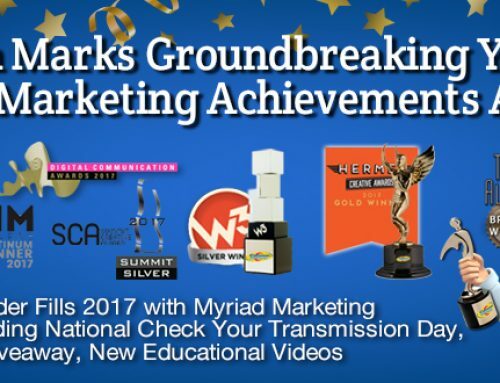 Previously, the video series also won honors in the Web Marketing Association’s 2016 “Internet Advertising Competition” and The 2016 Summit Marketing Effectiveness Awards. The W3 Awards sanctioning body, AIVA, is an assembly of leading professionals from various disciplines of the visual arts dedicated to embracing progress and the evolving nature of traditional and interactive media. AIVA was founded in 2001 and has quickly evolved to a diverse group of 750+ members from all 50 states and 15 countries worldwide. Additional information about the Academy of Interactive and Visual Arts (AIVA) and its programs is available at www.aiva.org.